Announced: Intentions to make the movie; early in development. Vin Diesel announced he has plans to produce a final trilogy of films. No plot details have been announced, part of a final trilogy in the Fast & Furious franchise. 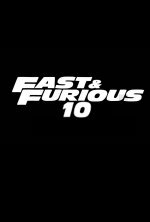 Fast & Furious 10 release date is set for Friday, April 2, 2021. This will be a Nationwide in theaters release.